Home Travel News	Japan And Singapore Are The World’s Top New Passport Holders For Travel! Move over Germany! Japan and Singapore have now officially taken Germany’s spot as the top new passport to have in terms of travel. Germany now sits comfortably in third place in the Henley Passport Index for 2018. 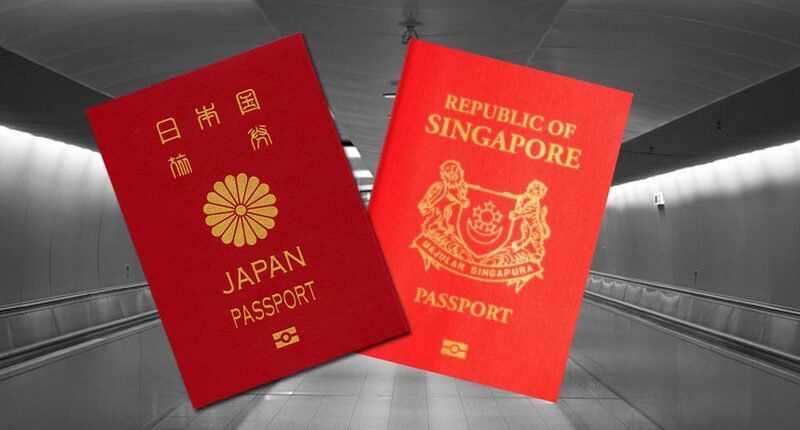 So why have Singapore and Japan been named the two new top passport holders? Well, firstly both Japan and Singapore passport holders have travel access to a mighty 180 countries each. Germany has slipped only slightly behind the two leaders by giving the passport holders access to 179 countries, just one country less! One of the reasons for the two Asian nations rising up in the index is because of Uzbekistan lifting certain laws to increase the flow of tourism. This meant that a number of countries, which included Japan and Singapore, now gained visa-free access to the country, which new laws came into effect in February. Fourth place in the 2018 Henley Passport access went to the UK – which was once the holy grail of travel freedom. Even though the UK has dropped a little, its residents still have the choice of 177 countries to travel to without the hassle of a visa. In 5th place we have none other than the US, which also gives its residents a very decent 176 countries to choose from when looking for a visa-free holiday. Not requiring a visa for a country may seem like a minimal aspect to one’s travel plans, but visas can be costly, time-consuming and at times even near-impossible to obtain. Visa-free countries also allow for the option of spur of the moment travel, allowing travellers to book a holiday that very day without having to worry about a visa application. It’s been proven that many travellers would much prefer to travel to a destination where a visa is not required over one where a visa is, even if the visa-free country wasn’t their preferred destination. So if you’re Japanese or Singaporean you better make use of your new found travel freedom and start booking flights to almost anywhere your heart desires – VISA FREE!